Multifunctional accessory designed for integrated and optimised voice and llogistics functions management. Suitable therefore either for logistics or security applications, it provides with an unbeatable global costs optimisation. 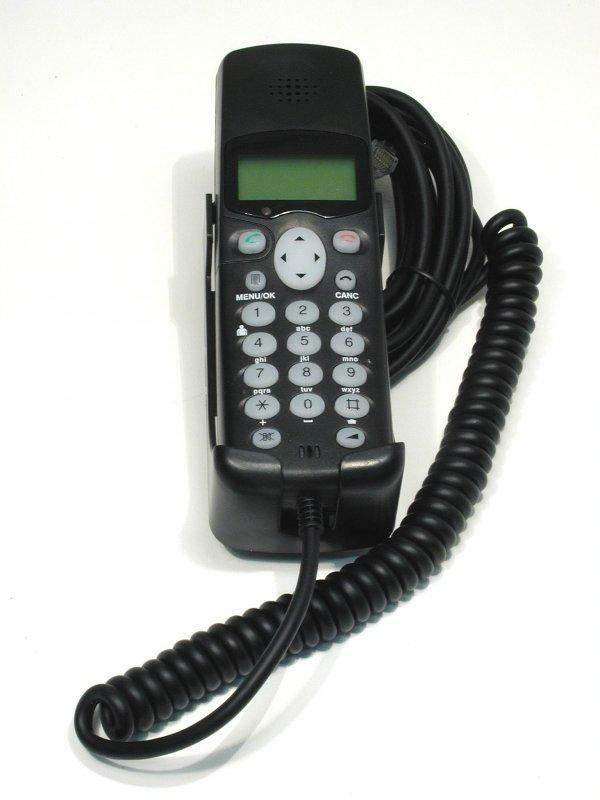 Free use of the host unit mobile phone for private calls without lowering security level. Security and management programmable codes (Pin Codes) capability; a suitable procedure is anyhow available to disable such function for privacy purposes, showing only encrypted characters. Iconised touch buttons to send specific request and info to a remote (Control Base Station). Commands for logistic functions (work flows, address book, etc.) management. Suitable engineered keypad buttons to be used in dark environment, with echo signal at pressure. One integrated buzzer, used for echo instrinsic signals, but also usable for special customised configurable functions. Possibility to switch from hand free system to private conversation and opposite. (*) Refer to the specific manuals either of device or of the connected mobile unit to verify which functions subset is actually supported.